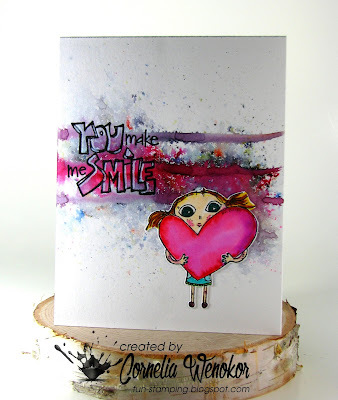 Stampotique has a wonderful new release this month! All the designers created fabulous card - you'lll have to visit them to find out for yourself! This little girl is called Nina's Heart. She just stole my heart - she is holding it ;) - just kidding! I gave her a Brusho background. 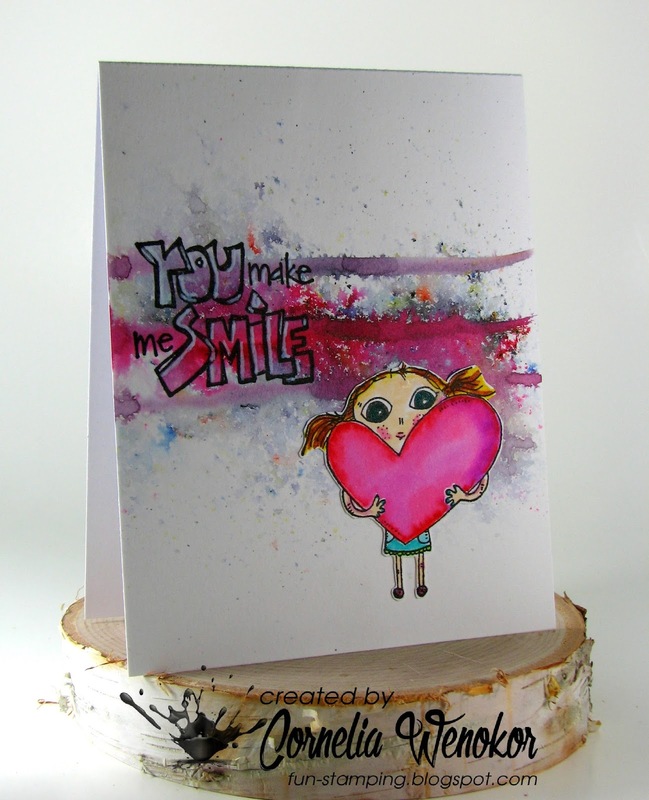 The sentiment is from the new release as well (Valentines Day) - there are three sweet sentiments available, usable not only for Valentine's Day. Stop by the Blog or follow our Facebook group for more inspiration! You make me smile...and laugh, too. Nina is adorable...especially the way you've colored and showcased her. Die hat mich schon auf FB so lieb angeblinselt!! Süss!